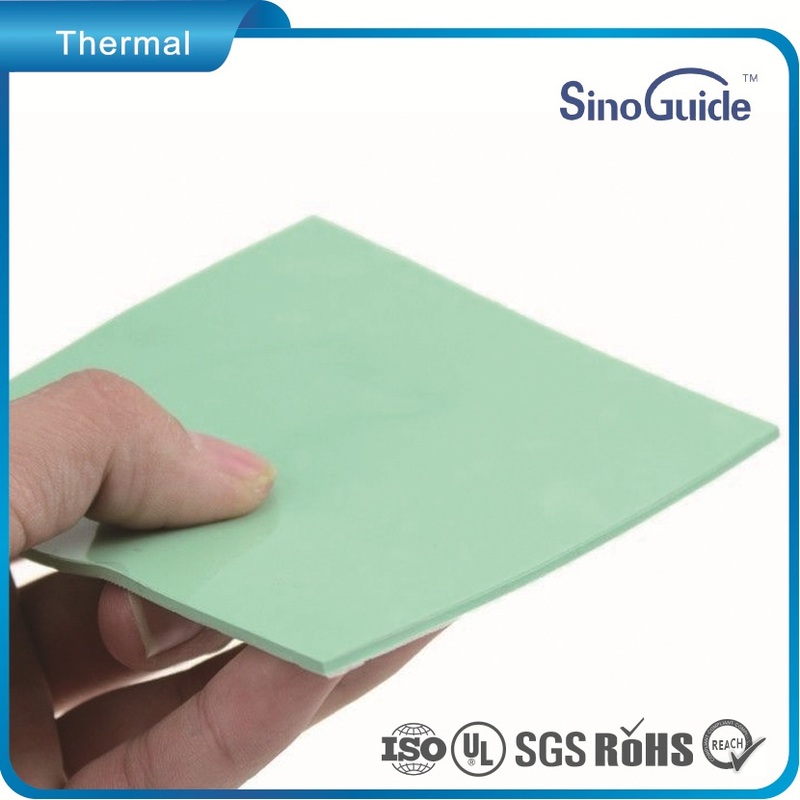 Sinoguide Technology now release of the most thermally conductive interface materials on the market today by introducing three new types of premium thermal conductive pad. Based at Sinoguide Technology multi-year thermal management expertise,these three new types TCP600, TCP120, and TCP200 offer extremely high thermal conductivity without sacrificing compliancy or workability. SinoGuide TCP600 is extremely soft, conformable, cost-effective and offers a thermal performance of 6 W/m-k.
Q: Can TCP600 series material be reworked? A: With care TCP600 can be removed and repositioned without an appreciable loss in thermal performance. Q: What is the shelf-life of the product? A: Shelf-life for most gap-pads is one year. For thermal gap-pads with an adhesive the shelf life is six months from the date of manufacture. After these dates adhesive strength and inherent tack must be re-characterised. Q: Will the pads soften with temperature? A: Up to the maximum working temperature, as specified on the individual product datasheet, the materials will not suffer with temperature. Q: Can TCP600 gap-pads supplied in different formats? A: TCP600 can be supplied in sheet form, die-cuts or moulded parts. Q: Does TCP600 gap-pads outgas? A: TCP600 is formulated to exhibited low-outgassing and leakage of silicone oils. The weight loss is <1% when measured using ASTM E595. Q: How does TCP600 gap-pads respond to ageing and thermal cycling tests? Without the thermal pad, The temperature on the chip is at 70 celsius. If with the thermal pad TCP600, the temperature on the chip is decrease to 57 celsius. So, this is what the function of our thermal pad to improve the thermal transfer from the chip to the outside, and that's why we expect to know your expectation of our thermal pad performance.